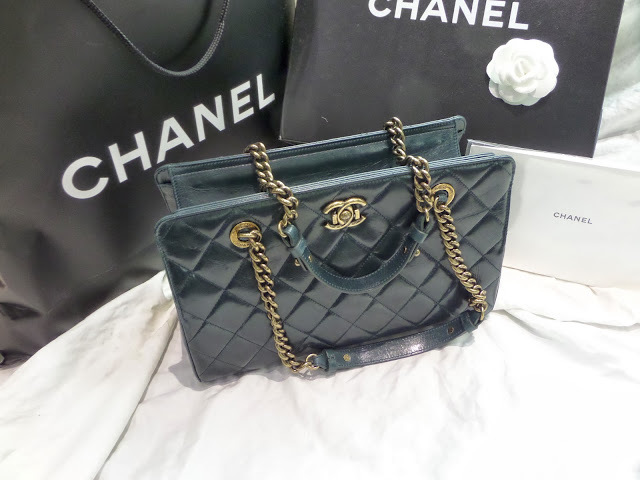 Once Again Resale is proud to present this sophisticated, 100% authentic brand new Chanel Perfect Edge Large Grand Shopping Tote bag from 2013 Autumn/Winter collection in dark green distressed leather and vintage gold hardware. Once Again Resale is a cozy high end consignment boutique that specializes in Chanel but we appreciate all luxury designer brands like Hermes, Louis Vuitton, Bottega Veneta, Prada, and many more. 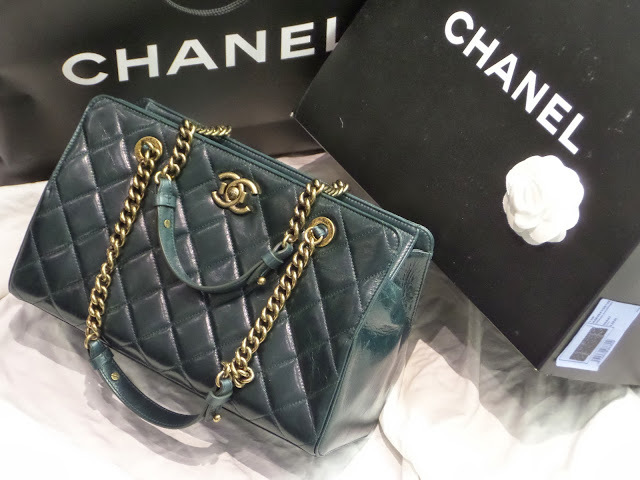 Our inventory is constantly rotating and clients never know what high-end designer pieces they’ll find next. 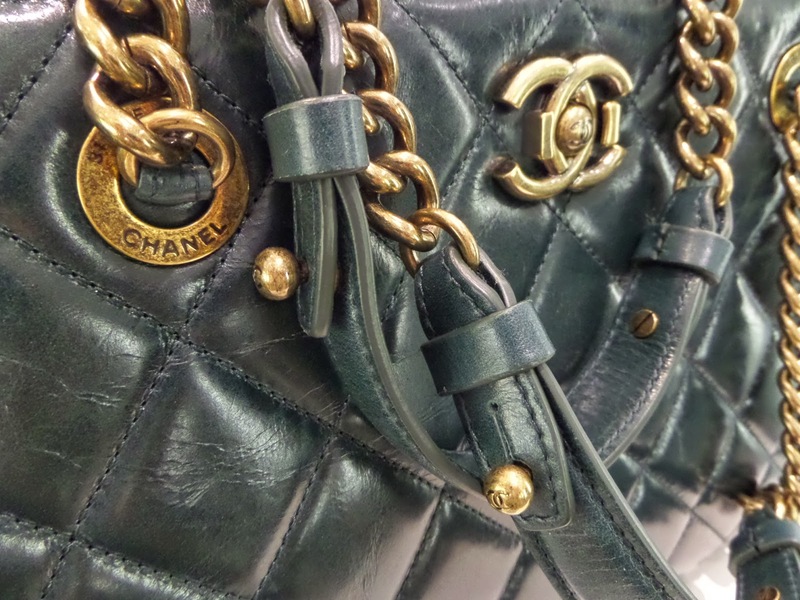 If you’re a true fashion lover who’s looking for something different, Once Again Resale is the perfect destination for your next shopping trip. Once Again Resale is set apart from other consignment shops in Vancouver because we specialize in the consignment of high-end handbags, shoes, jewelry, accessories, and clothes. 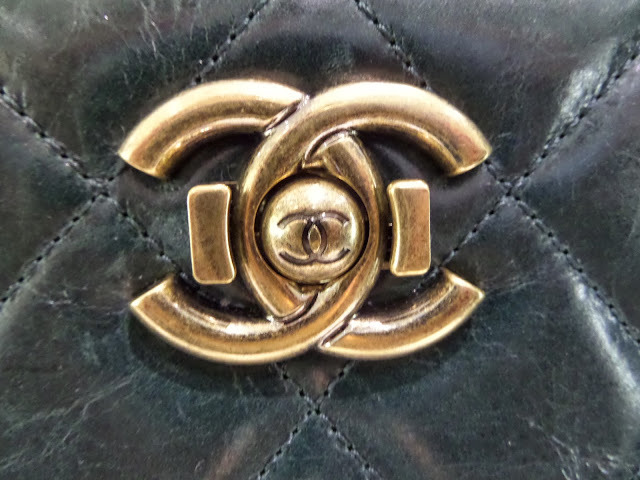 We are always looking for authentic designer goods to consign. Come shop in our designer closet & see what you may find. 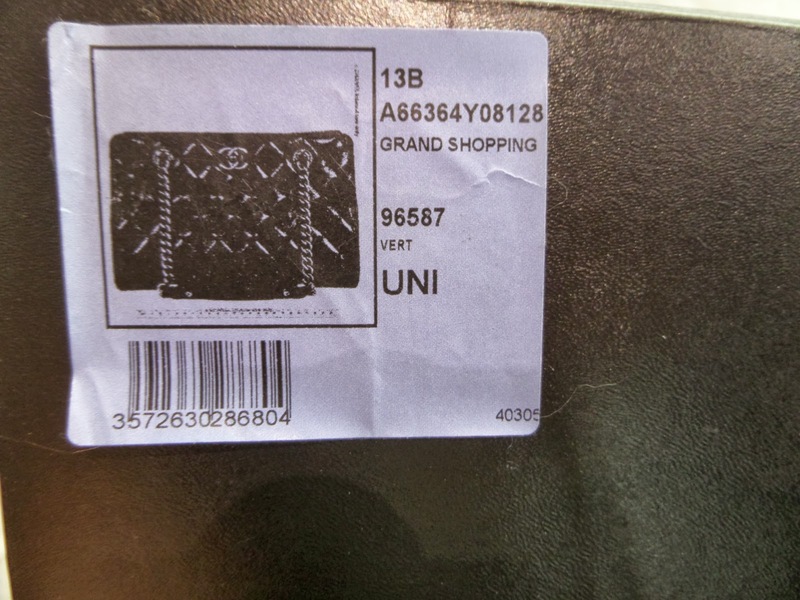 Louis Vuitton, Chanel, Hermes & more. Invest today's "must haves" by consigning yesterdays pre-loved designer items.